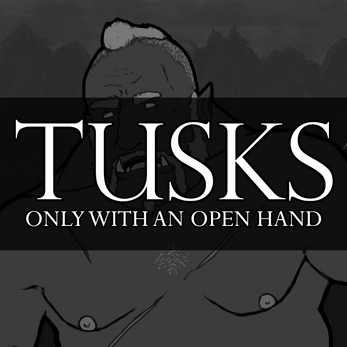 These are stories set in the same universe as Tusks: The Orc Dating Sim, featuring crossover and characters from in the game and existing alongside it. Each story comes in PDF format, and Patreon subscribers get each story a month early! How Our Name Was Known (Feb 2016): An orcish lodge is raided by the city guard, only to be met by resistance. (SFW, 4,600 words). The Wheel of the Year (Jan 2016): Winter falls on the Kingdom of Alba, and with it come a number of strangers from somewhere wholly other. Aed follows a mysterious figure walking through the snow; Brocgin tries to impress a guy at a party; Ggorom relates an old Selkie myth; and Sithig meets a nice young man under some unusual circumstances. (NSFW, 6,500 words). Only With An Open Hand (Dec 2015): Hewan awakes to find one of his orcish bodyguards knocking lumps out of the other - apparently with the latter's permission. 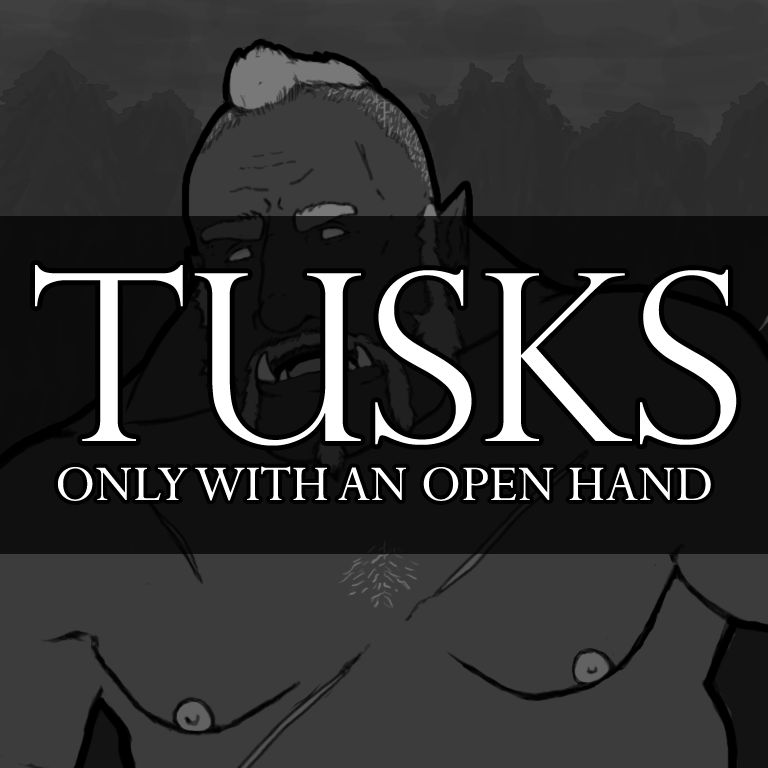 Features Ferdag from Tusks: The Orc Dating Sim, and two new characters - the orc Cuigrig, and Hewan, a human the orcs are bodyguards for. (NSFW, 3,700 words).